Highly rated Welsh trainer Darren Wilson has had some story. He is one of the men behind the success of Nathan Cleverly, having been in the corner for Cleverly’s successful World title bid against Jurgen Braehmer in Germany as well as his clash with Badou Jack on the undercard of Mayweather vs McGregor. Wilson has spent time with the likes of Tom Jones and Mickey Rourke in Los Angeles but still stays true to his routes in South Wales. Wilson is the figurehead behind the Beach Warrior’s 5-mile challenge on Sunday, May 13. 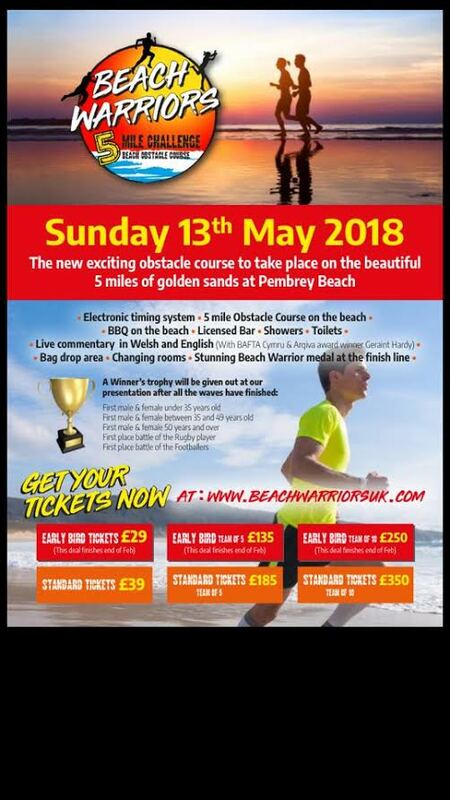 The event will take place on the fantastic Pembrey Beach and will include a BBQ, licensed bar as well as the 5-mile obstacle course based challenge. Wilson opened up about his success with Nathan Cleverly and his upcoming event at Pembrey Beach. He said, “I loved working with Nathan and I’m proud to have achieved what I have with him. He’s been a fantastic servant to Welsh sport and it’s been a pleasure to be a part of his journey. Rising UFC star Brett Johns lives a stone’s throw from Pembrey and Wilson has had a massive input on the Bantamweight stars career. Wilson discussed his relationship with the undefeated MMA standout.